Supreme Court 2014: Hobby Lobby is a bore. 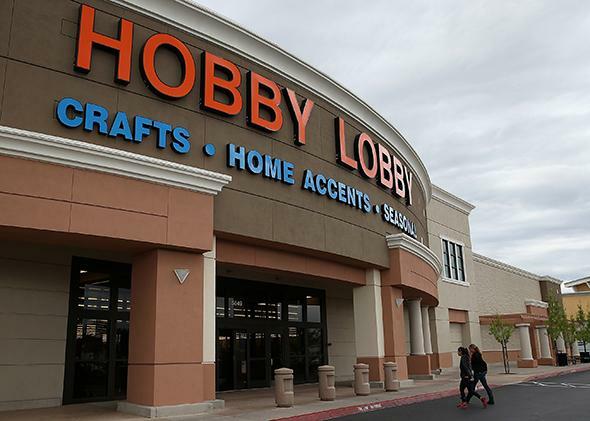 Religious people have rights, too—and that’s why Hobby Lobby threatens liberals. I want to pre-emptively deflate the Sebelius v. Hobby Lobby media bubble that will surely swell on Monday when the Supreme Court will likely render its decision in that case. And I will do so by saying aloud what many law academics think: Hobby Lobby is a bore. The legal issue at its heart is just not interesting. Imagine that Congress passes statute No. 1, which says that everyone must dress elegantly, and then passes statute No. 2, which says that everyone must wear tall hats. Can I wear an inelegant hat, like the Cat in the Hat, or must I dress like Rex Harrison in My Fair Lady? Thousands of law students have dozed off while pondering such conundrums. Courts use various tricks to reconcile statutes, usually in the hope of discerning an overarching legislative intent. And so with Hobby Lobby. Statute No. 1 (the Religious Freedom Restoration Act) says that laws “shall not substantially burden a person’s exercise of religion.” Statute No. 2 (the Affordable Care Act) says that employers who provide health insurance must cover contraceptives. What happens if insuring contraceptives violates your religious beliefs? Then you have a conflict. The court will need to decide how substantial a burden is too substantial. Why the fuss? I think something else is going on, and I think we get a clue from the recent free speech cases. McCullen v. Coakley, decided Thursday, struck down a state law that created a buffer zone around abortion clinics designed to protect employees and patients from harassment by protestors. Harris v. Quinn, which the court will probably decide on Monday, will determine whether the First Amendment restricts the ability of public-sector unions to charge nonmembers for representing them. Think also of Citizens United, where the Supreme Court held that certain campaign finance rules violated the First Amendment. And a range of commercial speech cases, where the court has struck down laws that restrict what corporations can say to the public in advertising. Or arguments against hate speech laws and university codes that try to protect minorities from offensive speech. What all of these cases have in common is that conservatives have used the First Amendment to challenge liberal policies. It’s an amazing turnaround. When I was in law school, the free expression clause of the First Amendment was still the darling of the left. It had been used by the Supreme Court to strike down laws restricting political dissent, which was almost always political dissent from the left. It was also used to relax artistic censorship. Liberals loved all of this. But in a brilliant bit of constitutional jujitsu, the Republicans on the court have turned the First Amendment on its head. Hobby Lobby represents a new legal threat to liberal values. Now the challenge comes not from the free speech clause of the First Amendment, but from the clause providing for free exercise of religion—although in this specific case, technically from the Religious Freedom Restoration Act, as I mentioned, which was designed to rejuvenate the free exercise clause in the early 1990s after the Supreme Court eviscerated it. The idea is that religious people should be able to challenge statutes that “burden” their religious practices. Typically, those challenges come from the right. In Hobby Lobby, the owners of the craft-store company object, based on their Christian beliefs, to certain forms of contraceptives. Other challenges come from people who don’t want to serve gay people or facilitate gay marriages. It is not hard to imagine challenges from religious people with traditional notions of the role of women. Indeed, the whole edifice of individual rights erected from the 1950s through the 1970s could be challenged by a wave of religious rights proponents who want nothing to do with the people and practices that liberals have championed. Satisfyingly for them, conservative religious people can mount their challenges by drawing on the theory that lay behind the liberal victories. Liberals argued that the Supreme Court should enforce the rights of racial minorities, political dissenters, accused criminals, and gays and lesbians because these groups were “discrete and insular minorities” that were outvoted again and again in our majoritarian political process. These court victories also protected religious dissenters, but mainstream religious beliefs did not receive the same level of protection, because they were held by the majority, who could protect themselves at the polls. But as the country has become more secular in recent years, it is increasingly possible to see conservative religious people as a beleaguered minority, at least in some places. Their groups are small enough to be outvoted but large enough to bring countless legal challenges. Religious objections to gay marriage are increasingly seen as out of the mainstream, as outlandish as the speech and activities of dissenters who liberals used to believe needed protection. So it is natural for religious people to argue that they deserve constitutional protection as well, and that for their sake, laws that promote contraceptives, gay marriage, and the like must be narrowed or eliminated. A side effect of this trend is that cases increasingly involve a conflict between two different rights, or conception of rights, rather than a conflict between a right and a government interest. In old-style cases, it was natural to think that the rights of political dissenters, or racial minorities, or criminal defendants, were pitted against the government interest in public order. The rhetoric of rights promoted sympathy for the individual being crushed by the governmental boot. But conservatives have come up with a different framing. Property owners have rights to property. Religious people have rights to religious freedom. Rich people have rights to speak and spend their money getting other people to listen. Victims have rights not to be preyed upon by criminals. A Supreme Court devoted to enforcing rights of all kinds becomes the ultimate arbiter of political disagreement.